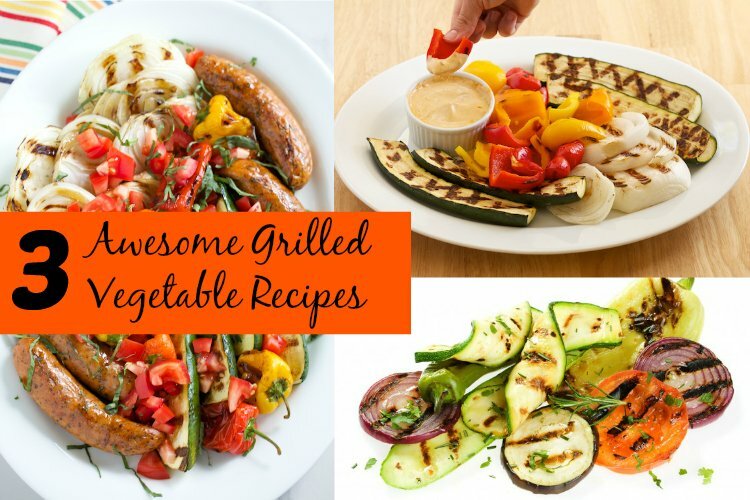 Ready for some awesome grilled vegetable recipes? Of course you are, ‘cuz there’s lots of room on that grill for something other than protein. 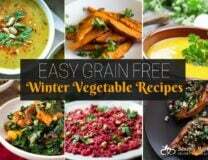 Break you out of your vegetable rut! Steaming, roasting and stir fry have their place, but I personally love grilled vegetables a lot. You can grill in the winter or fall too if it’s not too cold. I once cooked a 20 pound Thanksgiving turkey on the grill! It took a little longer than normal as the cold weather cooled the grill down, but it turned out great. These recipes are simple enough for inexperienced cooks to try. Encourage a teenage child or a spouse who doesn’t know how to cook to try these. It gives them new cooking skills to be proud of, and everyone wants to eat something they personally made…. Cooking a whole meal on the grill keeps your kitchen cool too. 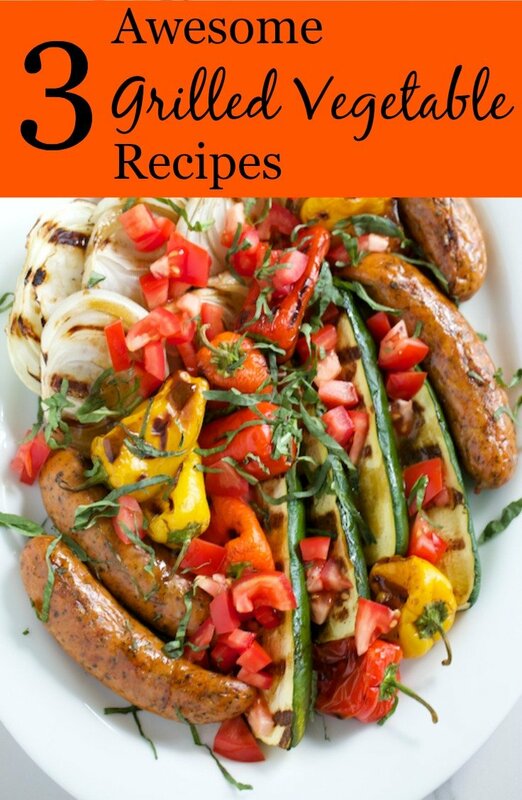 One of these recipes includes Italian Sausage, so the food is cooked outside with little to clean up. Don’t be afraid to try almost any vegetable on the grill. I’ve done Radicchio, cabbage, asparagus and more. 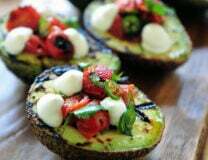 I found several good grilled vegetable recipes in “How To Grill” by Stephen Raichlen, one of my favorite grillmasters. Most any food can be improved with a bit of time on the grill. It adds a hearty richness that can’t be matched with other cooking methods. If you don’t have an outdoor grill, try a cast iron grill pan like this one in the kitchen. It’s 12″ square, pre-seasoned and works pretty well. You do get a grilling effect and nice grill marks, but without the smoky flavor. 1. Simple Grilled Vegetables with Chipotle Mayo Dipping Sauce – Here’s a tasty side dish that doesn’t get any easier. I like the reminder to keep the vegetable pieces large, saving chopping time and preventing pieces from falling through the grate. The accompanying chipotle mayo is good on other foods too, so make extra! 2. Grilled Italian Platter with Basil Balsamic Vinaigrette – Here’s a meal on the table in less than thirty minutes. Pair your favorite sausage with any seasonal vegetables. The fresh basil garnish gives the dressing a nice flavor. 3. 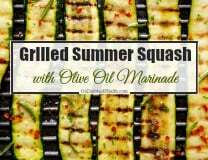 Grilled Summer Squash with Olive Oil Marinade – Summer squash is one of my favorite vegetables and grilling it gives it a hearty flavor your kids might prefer over steamed squash. This has a versatile marinade with several preparation options. Shopping For a New Grill? I’m a Weber fan, and have had two Genesis grills. These big grills have three flame bars set horizontally. You can turn off the middle flame and the high domed lid makes the heat roll like a convection oven. That’s how I cooked my Thanksgiving turkey in there! I used to have a propane tank which was a hassle to haul in for refills but my local drugstore now has refills ready to go. Just exchange your tank for one of theirs. My current house has an underground propane tank, thanks to a former owner. So I’m hard-wired into it. No refills needed!